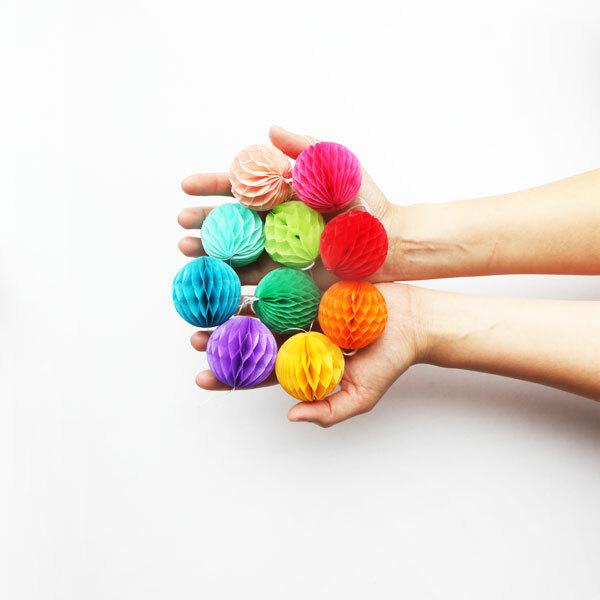 We just added our pretty rainbow honeycomb pack to the party shop. Mini honeycombs are the cutest and we’re obsessed! We always keep some on hand in our party closet. Use them to make gift tags, place settings, favors, or a tiny garland! Pick some up here.